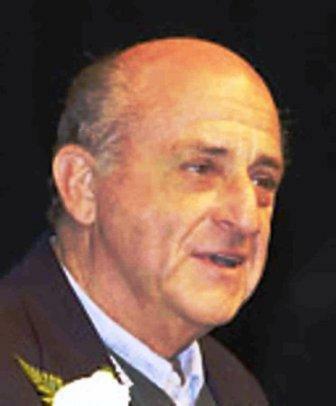 What follows is a tribute to Harvey Dorfman, who I learned recently, passed away in 2011. I had come across the article reproduced below, about his relationship with Philadelphia Phillies pitcher, Roy Halladay. It was my good fortune to be introduced to the works of Mr. Dorfman at a Sports Psychology seminar presented by Jeff Janssen, then the Sports Psychologist for the University of Arizona. The year was 1993. 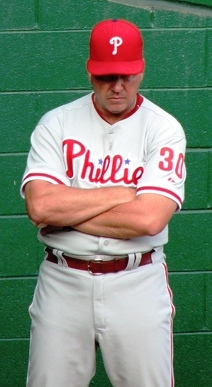 I had been involved in organized baseball as a player and a coach for 38 years. As I listened to Mr. Janssen speak, he highly recommended a book by Sports Psychologist, H. A. Dorfman. His message, if you are truly interested in the Mental Side of athletics, be it playing or coaching, acquiring Mr. Dorfman's book, The Mental Game of Baseball, A Guide to Peak Performance, will serve you well. Far more than serving me well, that seminar, initial book purchase and reads, forever changed the way I approached coaching. His writings are insightful, easy to understand and implement. I can only imagine what a great experience it would have been to meet and speak with him about the Mental side of baseball. Mr. Dorfman had since written 3 additional books: All are as good as his first, each with it's own topic of focus within the game. Mr. Dorfman had a gift for taking what might seem to be "complicated material", presenting it in an easy to understand and implement format. That gift was surely a major component to his success, with his personal contacts, as well as his books. 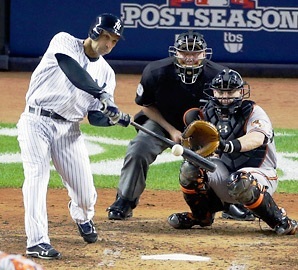 Baseball is a simple game to play; sometimes a hard game to master. "Pitching is not just the activity of physically throwing a ball. On the other hand, it isn't, and shouldn't be, complicated; people are complicated; baseball is not." H.A. Dorfman, from The Mental ABC's of Pitching. As you will see in the article reproduced below, Mr. Dorfman was truly someone special. His writings can provide players and coaches alike with that edge on the competition we are all seeking. The relationship began in a bookstore. It was a chance encounter, the kind that makes you think twice about the supposed disorder of the universe. With a 23-year-old Roy Halladay in the midst of the most trying season of his baseball career, his wife zeroed in on a book cover that turned out to have the answers. "The Mental ABC's of Pitching." By H.A. Dorfman. As he stood in the Phillies clubhouse at Bright House Field yesterday, Roy Halladay reflected on that fateful day, and the unique relationship it produced. Harvey A. Dorfman - psychologist, mentor, friend - passed away at age 75 on Monday, leaving behind a legacy that touched countless major league baseball players who turned to him with their deepest inner struggles. "First, definately," the Phillies righthander and 2010 NL Cy Young winner said. "I had a lot of help, but I told him the same thing - I'm certain I would never had the success that I've had if it weren't for the time I spent with him and the things that I learned from him. It really helped me turn the corner. Professionally, personally, it made all the difference. Dorfman, whose high - profile clients included the Brave's Greg Maddux, was working for the Oakland Athletics in 2000 when Brandy Halladay handed her husband the book that would soon become his Bible. 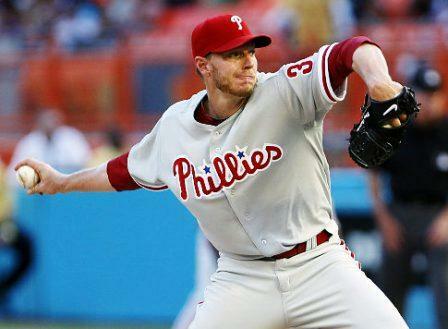 At the time, Halladay was in the midst of a season that had the potential to change his career. The young prospect allowed 80 earned runs in 67 2/3 innings for the Blue Jays, earning himself a demotion to the minor leagues. After reading through the book, he made a request to meet Dorfman through then - Blue Jays general manager J.P. Ricciardi, a former assistant in Oakland. The relationship would continue for the next 11 years, the two men talking on the phone and exchanging e-mails and, every now and then, meeting in person. "You are never able to fool him," Halladay said. "I think a lot of times you are never really willing to admit everything that you are thinking. He was quick to call your bluff on a lot of that stuff. He made you be accountable to yourself and accountable to him. And that's really the only way we were able to work through things. You really get down to the bottom of it and figure things out. There were even times last season where I'd call him and we'd be talking about something and he'd get to the bottom of it pretty quick. He always seemed to know what was going on, he had a really good idea of what was going through your head." Pitching coach Rich Dubee, who was the minor league pitching coordinator for the Marlins when Dorfman worked for the team, noticed the same thing. "We used to watch spring training games, and we'd be sitting there, and I had a little bit of an idea that a guy was getting ready to blow up," Dubee said. "You could see a little bit of body language and stuff. And he'd look at this guy, and say, "He's eating himself up from the inside. He's pretty much done right now." Just the way he could watch people and tell what was going on between the ears was phenominal." Halladay last spoke with Dorfman on the phone a couple of weeks after the Phillie's season-ending loss to the Giants in Game 6 of the NLCS. From there on, they exchanged e-mails. "He wasn't doing real well over the winter, and the last one I got was when he was going back to the hospital, which was right after the new year," Halladay said. "We had some private conversations. I know he wasn't doing well and I think you got a sense of what was going on. It was definately tough. It's something he has been fighting his whole life. But he battled." Halladay and Ibanez both said they plan to attend funeral services for Dorfman. Halladay, who says he saved every e-mail he has received from Dorfman over the last 5 years, also plans to preserve his mentor's legacy. In fact, he has already started. When the Phillies asked him to speak at the minicamp they held for selected rookies in Clearwater this winter, the veteran righthander showed up with a stack of books that he distributed to each player. The title: "The Mental ABC's of Pitching." Roy Halladay has never been just a prospect. A first round draft pick of the Blue Jays in the 1995 amateur draft, he was slotted to one day to be the anchor of their Major League club. As you read above, in 2000, at the age of 23, the wheels started to come off the cart. The statistics listed certainly do not tell the entire story; but the strikeouts to walks comparison is very interesting. In the minors he had always had many more strikeouts than walks, suddenly in 1999 and 2000, they were almost even. He was struggling, and was sent back to the minors to work things out. On his return in 2001, this statistic changed for the better, and has remained as such to this day. He has played in 8 All Star games, won two Cy Young awards, in 2003 and 2010, as well as throwing a perfect game vs. the Marlins on May 29, 2010 and a post season no hitter vs. the Reds on Oct 6, 2010. While there were undoubtedly some mechanical adjustments made, the majority of the adjustments came in his Mental Approach to the situations he was encountering. He hadn't suddenly lost the athletic talent that caused the Blue Jays to draft him in the first round; it was more that the competition level, even with his inate talent, required a fine tuned mental approach to all areas, to match the competition. Mr. Halladay and his wife found, in Mr. Dorfman's book, a map to recognize what to change as well as how. He also had the ability to work one on one with Mr. Dorfman on a personal basis. The results from 2001-2012 speak for themselves. Recognition that changes needed to be made, obtaining information as to what those changes might be and a map on how to accomplish them, as well as a willingness to do the work required to make it all come together. The skills within the mental game are as teachable, and learnable, as all the physical skills. Once a player or coach realizes the need and value, it takes time and effort to schedule it into the process. Quite often we are not willing to commit the time, so we only talk about what is needed. Talking is not enough, it takes real time interaction in practice, to be able to take it from there, into the game. Mr. Dorfman's legacy will live on through his written materials, and the countless athletes and coaches who will benefit from his life's work and passion. If you truly would like to make a measurable difference in your production, consider adding mental skills into your off season, practice and game time regimen. You will never regret that you did!